Maximize the time your team has together to create superior results. In today's work world we spend a considerable amount of time in meetings. 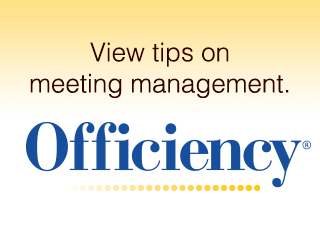 Meetings can be unproductive, inefficient and a huge human capital cost if resolution and accomplishment are not met. With expert facilitation, your important meetings will run smoothly and efficiently. Facilitation will assist management with handling interruptions, controlling dialogue and discussion, encouraging participation and listening and helping to achieve the goal and agenda of the meeting.